I’m starting the Blog Challenge for January of 2013…this month’s theme is ENERGY.. So, if I think of where my energy comes from…it’s certainly not from MY mind or MY body or MY inner self…it is from Christ. Just read “I Can Do All Things Through Christ Who Strengthens Me” – Philippians 4:13. I pray if I’m having troubles. I pray if I’m not. I pray without ceasing. I pray because that’s what I’ve been instructed to do by His word. I also believe that the Lord puts people around you to motivate you. If I am having a hard time pushing through something, almost always the people I think of are my loved ones. If it’s a work project I’m dealing with resistance on, I think of how proud my husband seems of me when it comes to my job. When I’m having a hard time even THINKING of cooking dinner, I think of how much he enjoys his favorite foods. When I am exhausted and one of my kids asks me to play…I am absolutely stoked that they picked ME to spend a moment with! Our kids are so busy and getting older…if one of them actually thinks of me, I am IN! At the end of the day, it’s easy to be tired and lazy, but with the motivation from my family members, I feel like I can do anything. When my husband goes to the grocery store (which he does, almost every time this family GETS groceries), besides when it’s Lowes Foods To Go – I mean him going and doing the shopping, he usually always picks up something extra. I often joke with him that I’d be much better off going because it would save us a good $60 each TRIP! He’s a brand name snob. He will NOT buy generic medicine (not even pain reliever…but it’s mostly due to his pharma knowledge so it makes sense). I’m funny about my ketchup and mac and cheese but other than that, bring on the store brand! Not the mister. However, there are a few things that he purchases that don’t bother me a bit. I don’t ask for these things or even remind him…but when he gets home I’m almost excited to see what he’s remembered that I love. The last time he went, I found these things in addition to the “list”…. 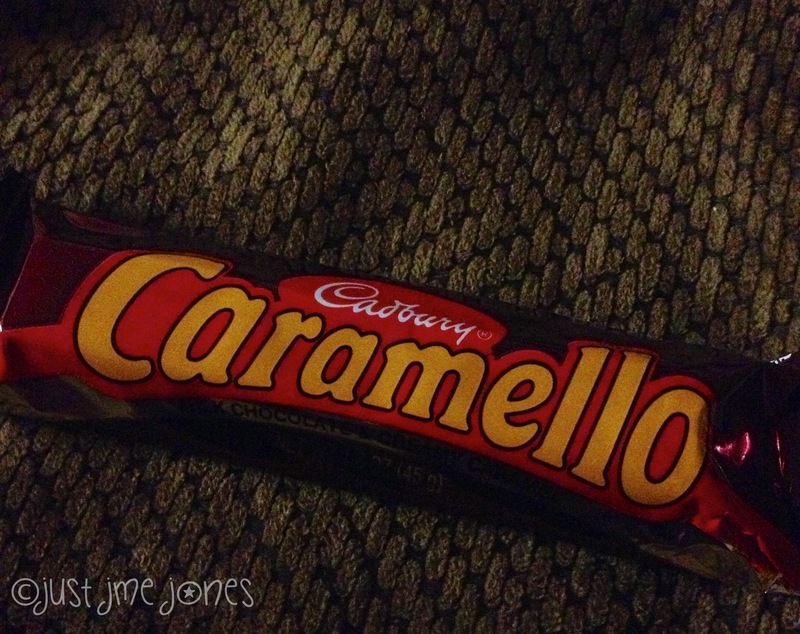 Caramello bars are my most FAVORITE candy bar from WAY back. 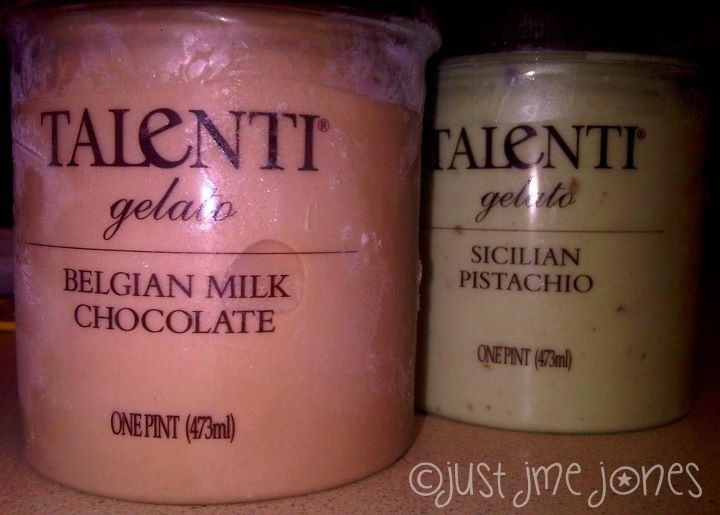 Talenti is a new but serious favorite frozen treat. I love that he remembers these things and knows that they are such small ways to show me he cares. To surprise me and show me his love. I do the same for him if I go to La Dolce Vita for lunch…I usually order his fave dessert to go. If I am in Tramway on a Saturday, I might go to Tobacco Road to see if there is a new shirt he’d love. Showing your spouse you love them in a small way can really make a BIG difference. I certainly know he’s always thinking about US…and he knows the same.